Nica Masilang is a very successful businesswoman, a loving & caring wife, a Pranic Healer and an Arhatic Yoga Practitioner. She shared her dream of having a happy life free of illness, conflict and money problems. Nica said that in the pursuit of dreams, however, there is this mysterious force that brings disorder, disagreement and downturn which intimidates even the best dreamers like her. In November 2016, Nica and her husband, Macky, were afflicted by dengue. Macky fell ill when Nica was so engrossed in closing a deal and preparing for back to back events. Miraculously, in 5 days, Macky was up and about working and running his business. They were both back in their daily grind. As they were on their way to a business meeting, Nica felt a striking pain in her head and she felt that her energy was lost. She requested to go back home because she felt she was going to lose consciousness anytime soon. She had been stuck in bed with dengue then. Macky patiently monitored her. One night, Nica had a blurry dream of going to the bathroom. In her dream, she slipped and bumped her head on the floor and struggled to get up. When she woke up the next morning, she found herself on the bed with her head resting on a pillow and with a soft blanket over her. The right side of her head felt weird, but she didn’t feel pain anywhere else in her body. She thought that it was just a dream. That morning, her fever was gone and her temperature was back to normal. Macky thought that Nica was already okay. They went to have a blood test to be sure. Macky was trying to cheer her up and took her to the movies. When Nica went to the toilet, she felt that the right side of her head was moist. She touched it and she saw that there was blood on her hands. She went back to her seat and didn’t say anything to her husband, but Macky urgently asked her to leave the cinema. He happened to receive a call from the clinic that Nica’s platelet count was critically very low. They went straight to the hospital. Nica had to be confined because her blood platelet was so low that the bleeding on her head was not stopping. The dengue rash also started to appear from her feet going up to her face. It was so itchy that she could not sleep. A series of tests were done on her. They put wires on her head. She was crying of self-pity and she could see that her husband looked very tired. Is this the kind of happy life that she dreamed of? Free of illness? Certainly not. Nica always believed that we all have a gift box inside of us where we place core memories that we use as anchors of hope. But we need to cover our physical eyes and ears to see what’s inside the gift box. 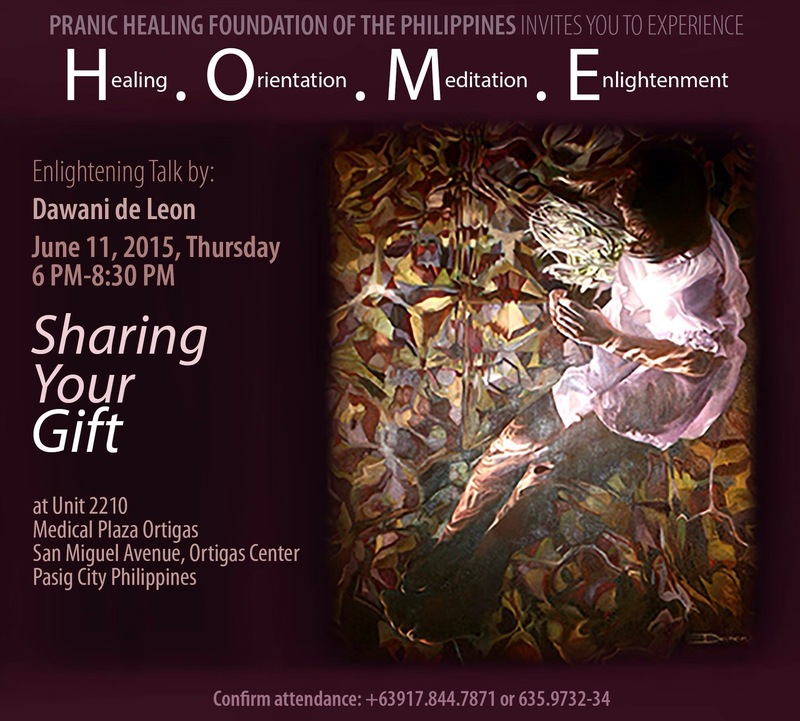 In Nica’s gift box, she remembers her parents going through some hardships in life until they eventually separated. That memory triggered a deep desire inside her that in her future marriage, she will hold on and not let go amidst disorderly times. That memory of the past is what she needed in time of disorder. Nica accepted the gift box from her past to help her discern the present. Nica said she had a happy life back then, despite the illness because she has a husband who painstakingly took care of her and had been patient with her throughout the ordeal. In April 2017, Macky all of a sudden felt so cold under the hot summer sun. He would feel this way while inside their home, and would ask to close the aircon and electric fan despite wearing 3 layers of clothing plus a jacket. He became jittery and asked to be rushed to the hospital. He had been having rapid heart palpitations yet all the test results were normal. They sought several conventional and alternative doctors. Later on, they found a medical doctor who trained in acupuncture in China. Macky was told that he was having an adrenal fatigue or anxiety attacks that caused his chi or energy to be unbalanced. Macky supplemented his acupuncture treatments with Chinese herbal tea medicine. This went on for months. In October 2017, Macky found #PranicHealing. They both attended the H.O.M.E. Session and Macky found instant relief. He was so impressed that he urged Nica to take the Basic Pranic Healing so that she could heal him. Nica did not say yes right away because she was exhausted with all that they were doing. This caused a disagreement between them. Is this the kind of happy life that she dreamed of? Free of conflict? She again took a peek at her gift box and was surprised to see the memory of how happy she was to have found and have married her very own life coach, her husband Macky. In the past, Macky guided Nica in many decisions that brought her out of her comfort zone and showed her that she can thrive in her courage zone. The memory of Macky’s guidance was what she needed during times of disagreement. Nica accepted the gift box from her past to help her discern the present. She said that she had a happy life despite the disagreement because she has a husband who looked after her own interest even if she doesn’t know it yet. Macky and Nica reached a compromise. Macky should take the #BasicPranicHealing course instead. He applied the teachings right away and he sampled them on Nica. Macky cleansed her aura. The week after the healing, prosperity came chasing after her. Macky slowly encouraged her to also take the Basic Pranic Healing course. Today, they take the higher courses together. One course that she found beneficial in her work life is Pranic Psychic Self-Defense. She used to have severe headache to the point that she wanted to cry because of stress after a grueling day of work. She no longer experiences this after applying the techniques of Pranic Psychic Self-Defense. This course prevented her from being dramatic, emotional, irritable and critical of the people around her especially after a busy work day. In April 2014, Nica and her then boyfriend signed a deal for an investment property while in the middle of planning their wedding. It was their first venture together. It was an old property that they renovated and it was doing good until the rainy season came. The property leaked every time it rained. They had to shell out more money to repair the problem. This all happened while they were having their wedding. Their finances took a downturn. Is this the kind of life that she dreamed of? Free of money problems? Two memories from her gift box flashed back at her. Memories of when her parents’ business closed down & they were left with huge debt and when her job security as an I.T. professional was threatened during the global recession in 2008. Those memories triggered a desire in her to change the way she looks at money. Master Faith says “Do you choose to grow old to keep working for money, or strive to reach a goal of letting money work for you? It’s your choice to do something more important, ore real, more permanent and more for the Soul and not just for the body.”Nica truly understood prosperity when she took Kriyashakti, a financial course on materialization of thought forms. We may be earning a big amount of money, but if we constantly worry about not having enough, this lowers our prosperity. This results in money being drained month after month leading to no savings. In Kriyashakti we learn how to keep the prosperity energy continuously flowing. Nica said she has a happy life despite the downturn because she has opportunities to learn to manage prosperity through good times and bad times. According to Master Choa Kok Sui, “Life is a series of attachment and de-attachment, a series of holding and releasing, of connecting and disconnecting.” Nica said we all have a gift box from childhood and we put things in it as we grow up. It can hold anything from happy, exciting, romantic to sad, angry, frustrating memories. These memories become gifts once we learn when to become attached and when to become detached, when to hold and when to release, when to connect and when to disconnect. She shared that whenever there is a mysterious force messing with our heads, let’s cover our eyes and our ears, be accepting of our gift box and discern. Does listening to that actually help us in pursuing our dreams? Is there benefit in being open to what others are saying? Do we really need to say things that do not help us? By accepting our gift box, the things that happen to us, good or bad, we build resilience to overcome challenges to successfully achieve our life dreams. *Energy exchange: any amount (voluntary tithe)Hope to see you all at our next HOME Session!